So, this past week (and the one before), several elements and ideas came across my radar as I sift and examine the role of Superman as a rhetorical model (a role model) worthy of emulation and inspired action. While waiting for a wedding to begin the Saturday before last (the 18th), I was struck by something that I decided to write down. So, here it is: Superman, being the template for all modern “super” heroes, being the first, has a responsibility that is built into the very core of the character. This responsibility is to convey the same ideal that heroes have been “burdened” with since man first conceived of them and spoke of them in mythology – to project a model of responsibility of responsibility of those who bear witness to their deeds, who hear about them and who are inspired by them, to wish to emulate this example. That is a weighty bit of both responsibility on the “hero” but also on those who wish, in some way, to emulate that hero or superhero. In Action Comics #775 entitled “What’s So Funny Bout Truth, Justice & The American Way?” write Joe Kelly has Superman declare that “Dreams save us. Dreams lift us up and transform us and on my soul, I swear until my dream of a world where dignity, honor and justice becomes the reality we all share I’ll never stop fighting. Ever.” Now…that is a tall order. However, it speaks to three very distinct points worth noting. The first is the idea and value of dreams. Some people treat dreams like they are something that goes on in the unconscious mind, but America, not to mention Superman and almost every other superhero found in the pages of comic books, is a dream. Dreams are hope; they are a belief that the world can be a better place. People spend their whole lives searching or chasing after their own version of the “American Dream.” Even more important, in order to understand the true nature and function of Superman, dreams inspire people to action and change. They inspire real life men that American’s revere such as Thomas Paine, Thomas Jefferson, George Washington, James Madison, Abraham Lincoln, Martin Luther King Jr., John F. Kennedy. These real life men carried out change and inspired others to “dream” as well. So, one might venture that dreams, having dreams – particularly in America – is something we take a bit more seriously than even we often realize. The second is the idea of a perpetual and never-ending fight. This is something built into the comic book medium, a trope, but one might argue it is also a stand-in for the notion that life is itself, in one form or another, a struggle. For superheroes, for men and women gifted with extraordinary ability, the “struggles” are more than average – the struggles themselves become “super.” Dreams are things we struggle to make real. While Superman can save the day by preventing asteroids from striking the Earth or warding off super villains, the everyday person usually struggles to ward off bills or prevent their life from spiraling into chaos. So, really, how can the life of a superhero, trapped in the comic book pages locked in constant battle with villains and disasters that go on and on really compare to those struggles of the normal, real, everyday person? The answer lies in the third idea found in statement above. This third points out the disconnect between ideals and reality that need to be reconciled. Superman can inspire in an individual the idea that if he can fight off the very evils of the world, then why cannot you, an individual person in the real world press on. Superman is hope. He is not allegorical, but applicable in the ways that the struggles he faces are fictional and astronomical, but the way he comports himself, how he handles the tough decisions and challenges he faces are manners and actions that even the “real” average human man or woman can look to and admire. Superman’s function as a model of behavior, of who we want to be – our better angels or selves – is something that bridges the world of fiction and reality with applicable concepts anyone can admire and emulate. The role of Superman, as a rhetorical model, a figure who can inspire action and emulation in an applicable (and comparable form) is perhaps his truest and deepest power. He has his secret power that is the most powerful one. It shows in the comic books he appears in but its power reaches out even beyond those two dimensional pages. It crosses the third and fourth dimensions (yes, time – 75-years and counting) as well. The power of Superman as a rhetorical model reaches our real world and gives voice to the potential that lies in each and every one of us to make the world a better place in our own way. Superman offers up a potential ideal, that though at first glance appears to be fictionally out of grasp for reality, is, in fact, when looked at carefully filled with small bridges that allow anyone who looks close enough and hard enough can see hidden power that bridges the dreams of tomorrow with the reality of today. Big goals, but Superman is larger than life. 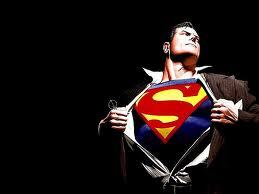 So, no more chasing rabbit holes for me, its time to put on a cape and believe that a man can fly. Ever since Frederic Wertham published his work Seduction of the Innocent in 1954 attempting to warn parents of how comic books help contribute to juvenile delinquency, we have acknowledged as a culture the power of comic book superheroes, such as Superman, to serve as models. This dissertation will explore the phenomenon of Superman as a cultural and rhetorical model by attempting to answer two primary questions: how does Superman (the first modern superhero and representing others) function as a rhetorical model – someone or something able to inspire emulation and action –, and what is the significance of Superman as a model with regards to its influence and interaction with American culture? My first, and primary, approach to answering these will involve Chaim Perelman and L. Olbrechts-Tyteca’s definition of a model as found in The New Rhetoric. This definition states, that “In the realm of conduct, particular behavior may serve, not only to establish or illustrate a general rule, but also to incite to an action inspired by it” (362). Therefore, we can see that Superman inspires actions, specifically, by reinforcing behaviors such as being honest, doing the right thing, and helping others who are in need. As a model, Superman both reinforces commonly held ideas of cooperative behavior within society while also illustrating those rules and behaviors by turning them into demonstrated actions. His heroic deeds are able to promote and demonstrate to an audience the kind of conduct that should be ideally emulated, emulation that Kenneth Burke might call “cooperation” (A Rhetoric of Motives 43). The second approach, related to the definition of the model, consists of two parts. The first part emerges in Stephen Greenblatt’s concept of self-fashioning. In Renaissance Self-Fashioning, Greenblatt describes how individuals have used influential models to construct identity. By symbolically representing the American Dream, Superman embodies and communicates values critical to American self-fashioning of cultural identity. The second part draws upon Kenneth Burke’s concept of identification. It builds upon the idea of self-fashioning as a means to form a “construction” of identity, as Burke notes that human’s desire to find identify, with the character of Superman in his desire to identify with humanity. This identification empowers Superman’s quest and shapes his ability to function, as a rhetorical model worthy of emulation by fashioning identity humanity wants to emulate. As a rhetorical model, evidence of Superman’s role can be found in the ways that he has shifted with American identity over much of the 20th century. 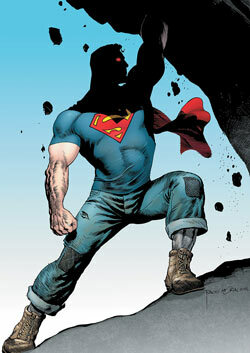 He has been a champion of the oppressed ever since his first appearance in Action Comics #1 (1938). From his conception, Superman has stood as a bulwark, a force, against the threats from beyond and within that threaten humanity. He did all this while helping to inspiring boys and young men, such as comic book writer Grant Morrison, to be less afraid of nuclear weapons, the idea of “the bomb” because the idea of Superman was greater than it (Supergods xv). Superman represents something timeless and interwoven in American culture, and at the heart of the character’s stories and popularity, there remains this connection between the character of Superman and American culture, particularly during times of change and transition. Understanding Superman’s ability to function as an effective model – able to inspire action and emulation – requires an understanding of the idealized view, an immigrant-orientated view, of the American Dream that Superman has come to embody. Superman embodies a self-fashioning, a formulation, of an identity that tapped into the perceived social standards around him in 1938 America and continues even today. Self-fashioning, as Stephen Greenblatt notes, requires certain conditions, such as the submission to an authority and the notion that it is always rooted, “though not exclusively, in language” and “occurs at the point of encounter between an authority and an alien” (Renaissance Self-Fashioning 9). Superman best embodies a self-fashioned version of the American dream, as an “alien” who has assimilated, through his ability to serve as a “representation of one’s nature or intention in speech or actions” (3). Superman can do this, break down and reinvent boundaries, because he is an amalgamation, a coming together of different traditions and ideas, like America itself, to form something that, as Greenblatt points to as “functioning without regard for a sharp distinction between literature and social life” (3). Superman is not limited in his “identity” to the original goals of his two poor Jewish-American creators, Jerry Siegel and Joe Schuster; instead as a model, he taps into the deepest aspirations of the American Dream – of reinvention and acceptance. Superman embodies the idea that America is a land of the free, a land of opportunity, and welcome to all those who have made it what is and can make it better. Superman is a symbol. Kenneth Burke would assert that Superman is symbolically persuasive because “rhetoric. . .is rooted in an essential function of language itself, a function that is wholly realistic, and is continually born anew; the use of language as a symbolic means of inducing cooperation in beings that by nature respond to symbols” (A Rhetoric of Motives 43). What makes Superman so “super” is his ability to incorporate and express the melting pot of American culture via symbolic action that is malleable while retaining an original essence. Symbolically, Superman exemplifies the “best” of American (drawn from Enlightenment) values – truth, justice, fairness, and freedom. What comes out is an idealized narrative of America that is representative, “continually born anew,” into what those who have come to America have always wanted to believe was possible – an idea given form, like the Statue of Liberty that can move, fly, and save us. All-Star Superman, written by Grant Morrison and drawn by Frank Quitely provides a powerful example of how Superman functions as an effective rhetorical model. Within this story, Superman is faced with the reality that he will die. Faced with his own mortality, Superman embarks upon a series of heroic deeds, like the mythical Hercules and his twelve labors, before his time is up. Superman’s ability to act as a rhetorical model becomes explicit in one specific moment that encapsulates just how Superman can provide real hope and inspiration to others. The page opens with a long shot of a young woman on the edge of the building, with the obvious implication that she is thinking of jumping to her death. Instead of seeing Superman swoop in and save her after she jumps, the audience witnesses a series of panels where he lands behind her, puts his hand on her shoulder, and reassuringly tells her that her doctor really was “held up” and that “It’s never as bad as it seems…You’re much stronger than you think you are. Trust me” (All-Star Superman, Vol. 2 96). Superman is not only modeling strength that can be seen by others, but also attempting, as Perelman and Olbrechts-Tyteca note, “to incite to an action inspired by it” (The New Rhetoric 362). He is attempting to impart strength, and one can infer by their hug in the final panel of the page, to this young woman, to present her with a feeling that if he can help her, she too can help herself, and that life will get better. This is but one of many examples of how Superman has and continues to function as a rhetorical model worthy of notice and imitation. An examination of the classical Greek notion of arête or excellence will help define Superman, as he can be understood, as a bridge between modern and classical mythological heroes. Examining Aristotle’s notions of attaining the “good” will be undertaken via his Nicomachean Ethics. He states that “if we do not choose everything for the sake of something else it is clear that this one ultimate End must be the Good, and indeed the Supreme Good” (Nicomachean Ethics 4). This idea of seeking the “Supreme Good” as a model – found in Superman – offers a connection and a grounded classical reasoning for Superman’s sustainable ability as a modern rhetorical model. Thomas Frentz notes that Joseph Campbell helped “show that myths, properly understood, were not faculty accounts of social history, but rather accurate…accounts of a culture’s unconscious” (“Memory, Myth, and Rhetoric” 244). Superman embodies the same ability as myths, and it could be argued that his power stems directly from his ability to tap into some “unconscious” essence of American culture. Frentz quotes Campbell, from his Myths to Live By, by noting that such a connection comes “Through a dialogue [and that] we can learn to know and come to terms with the greater horizon of our deeper and wiser, inner self [through understanding them]” (13). Through an investigation of these elements in relation to Superman, we will attempt to intertwine and analyze just how the formulation of such classical elements of Greek myths and ideas help manifest in Superman the ability to project and embody enduring elements of American culture. The primary lens for this examination will stem from the ability of Superman to function as a rhetorical model. This will be aided by understanding Burke’s concepts of “identification” and cooperation, which play a crucial role in allowing Superman to be relatable and therefore allow him to properly function as a paradigm of Perelman and Olbrecht-Tyteca’s version of a rhetorical model. The cooperation Superman is able to generate operates as a means of a dialogic exchange between Superman the character and American history and culture. Superman’s direct connection to the American values and dreams allows him to act as a force for betterment of those same values and dreams while also helping to shape and define them as well. 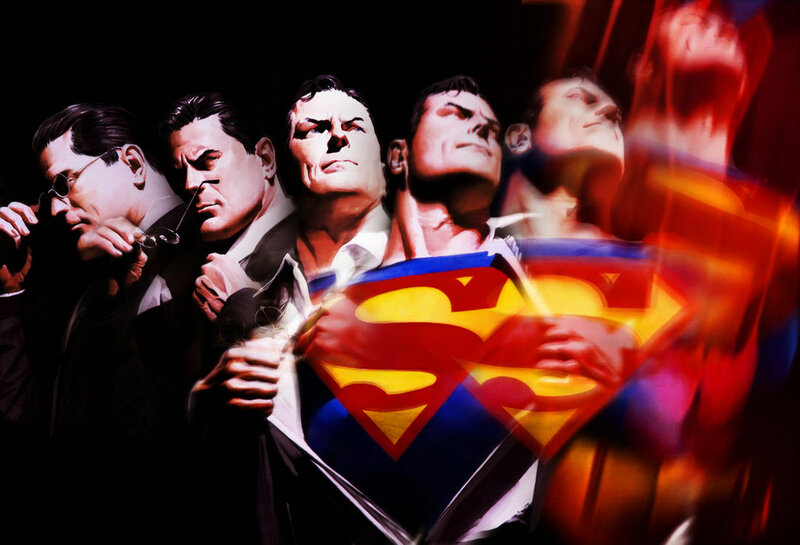 Special attention will be given to Superman’s history and changes within the comic book medium. The reasoning for this emphasis lies specifically in the ability of comic books, published in recent decades in a monthly fashion, to keep up with in a timely manner the changes and shifts in American culture. This is to say, unlike television or movies, comic books have, with the exception of perhaps radio and news, the unique ability to redress and pointedly mimic the subtle shifts of popularity and the cultural zeitgeist around them. Works, such as Will Eisner’s Comics and Sequential Art: Principles and Practices from the Legendary and Scott McCloud’s Understanding Comics: The Invisible Art will help reveal the theory of the art form, medium, in its ability to communicate such complex ideas, and why we are “so involved” (McCloud 30). Books, such as the Ages of Superman, edited by Joseph J Darowski, will help provide and identify key points within Superman’s own history as it relates to the American and world history he has “lived” through. Grant Morrison’s work Supergods will in turn help illustrate the ways that superheroes, particularly Superman, have in influencing the lives of young people and serving as creative vehicles of the expression and excavate deeper and more complex ideas. Mikhail Bakhtin’s idea of the dialogic and reaccentuation will be examined, primarily through his work The Dialogic Imagination: Four Essays, Michael Holquit’s Dialogism, and Gary Morson and Caryl Emerson’s Mikhail Bakhtin, and how this concept applies to the ways that Superman has interacted with American culture and history, and how they have affected each other. This section will attempt to elaborate specifically on how and what helped shape and establish Superman as a rhetorical model in relation to American history and culture. Superman exists within a popularized American medium and even his own motto “Truth, Justice, and the American Way” speaks to how connected the icon of Superman is to American culture and values. These very ideals have not remained static, nor has Superman. For this reason, Superman has himself had to adapt and shift, to reinvent himself to stay relevant. These reinventions and shifts functioned as a two-way street, both being influenced by American culture and history, and then influencing that same culture and history in turn. What emerges is an identifiable symbol of what is best in the American ideal- timeless – regardless if it is sometimes dismissed or ignored. Through a bibliographic excavation of the aspects of Superman’s own comic book medium history, as well as its dialogic connections to American history, a picture of how and why Superman has become the iconic figure he has will emerge. Beginning with Aristotle and Campbell’s conceptions of the power of myth, a deeper exploration of how modern myths like Superman function to project arête via his presence as a model will be undertaken. The application of The New Rhetoric, along with Greenblatt’s “self-fashioning” and Burke’s “identification, will help reveal just how engaged and intertwined American culture is with Superman. Other sources aimed at aiding this investigation are Superman: The High-Flying History of America’s Most Enduring Hero by Larry Tye, David Hajdu’s The Ten-Cent Plague: The Great Comic-Book Scare and How It Changed America, and The Power of Comics: History, Form and Culture by Randy Duncan and Matthew J. Smith among many. Chapter 1: This chapter will attempt to specifically analyze and critically understand the complex aspects centered upon Superman’s position as a rhetorical model – the good and the critical. Focus will be given to how this model of Superman has held up to criticism and has become engrained in American culture over the past 75-years. Chapter 2: This chapter will attempt to specifically explain dialogism and examine the dialogic connection between Superman’s history of reinvention, self-fashioning, in relation to the desired and continual need for relevance in a shifting and changing American culture. 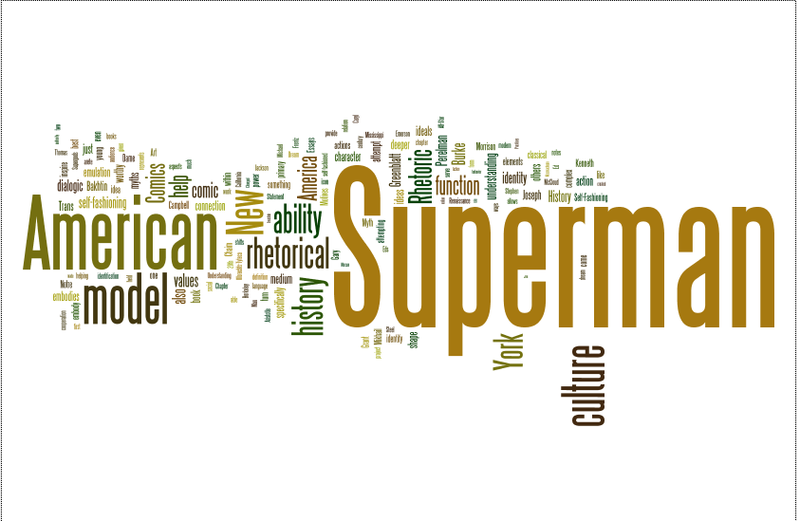 Chapter 3: This chapter aims to place the rhetorical model of Superman and his dialogic relationship with American culture and history into an analysis of the impact such an understanding can provide towards a deeper understanding of what American dream can potentially embody and represent for those who recognize Superman as a worthy model. The primary goal of this endeavor aims at revealing that Superman’s function as a rhetorical model dialogically intertwines with American history and through this exchange is created a concrete and self-fashioned representation of American ideals and values – a crystallization of the abstract. Through the comic book medium, Superman has developed and channeled innate “abstract ideals and values” of the American dream and potential into an icon worthy of praise and imitation. He represents the best of American ideals, an arête, while helping to shape and inform those ideals throughout most of the 20th century and into the 21st. Discourse 2 (1980): 124-138. Print. —. The Rhetoric. Trans. W. Rhys Roberts. New York: The Modern Library, 1984. Print. Emerson. Austin: U of Texas P, 1982. Print. Communication. Albany: State U of New York P, 1997. Print. Barthes, Roland. Mythologies. Trans. Annette Lavers. New York: Hill and Wang, 1972. Print. Burke, Kenneth. Grammar of Motives. Berkeley: U of California P, 1969. Print. Campbell, Joseph. Myths to Live By. New York: Bantam Books, 1972. Print. Times. Jefferson: McFarland & Co, Inc., 2012. Print. Medium. Eds. Jeet Heer and Kent Worcester. Jackson: U P of Mississippi, 2004. Print. Cartoonist. New York: W. W. Norton & Co, 2008. Print. and Gary Engle, Eds. New York: Collier, 1987. Print. and Our Society. New York: Coninuum, 2004. Print. Quarterly 36.3 (Summer 2006): 243-263. Print. Gross, Alan and Ray D. Dearin. Eds. Chaim Perelman. Albany: State U of New York P, 2003. Holquist, Michael. Dialogism: Bakhtin and His World. 2nd Ed. New York: Routledge, 2002. McCloud, Scott. Understanding Comics: The Invisible Art. New York: HarperPerennial, 1994. Smallville Can Teach Us About Being Human. New York: Spiegel & Grau, 2012. Print. — and Frank Quitely. All-Star Superman, Vol. 2. New York: DC Comics, 2010. Print. Perelman, Chaim and L. Olbrechts-Tyteca. The New Rhetoric: A Treatise on Argumentation. Tran. John Wilkinson and Purcell Weaver. Notre Dame: U of Notre Dame P. 1969. Print. Reynolds, Richard. Superheroes: A Modern Mythology. Jackson: U P of Mississippi, 1992. Varnum, Robin and Christina T. Gibbons. Ed. The Language of Comics: Word and Image. Jackson: U P of Mississippi, 2001. Print.